We know pretty much everything about the Samsung Galaxy Nexus except its official price and release date on Verizon and well, today it looks like we can cancel one off the list (hint: it’s not the release date). According to the Wall Street Journal’s trusted sources, the upcoming Android Ice Cream Sandwich flagship device will be sold for $299 with a 2-year contract. This corroborates with previously leaked price of the phone, which makes sense considering that it is a top-of-the-line Android phone with 4G LTE, a 720p Super AMOLED display, Ice Cream Sandwich (currently the only phone being sold with it) and 32GB of internal storage. Now all we need is an official release date. 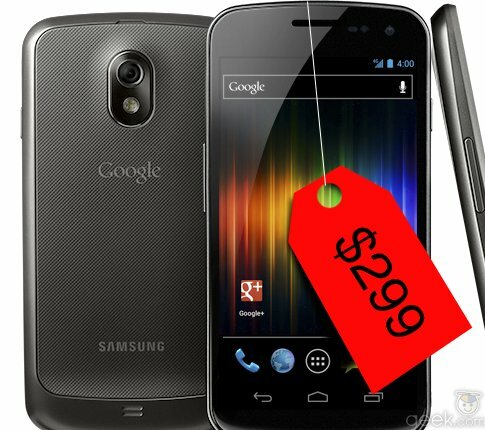 What do you think of the Galaxy Nexus’ price? Will you be picking it up for $299 with a 2-year contract?